Bocfel is an interpreter for the Z-machine. It fully supports versions 1-5, 7, and 8, and contains partial support for version 6. For detailed information on Bocfel’s operation, please consult the man page. Bocfel can be downloaded from the downloads page. 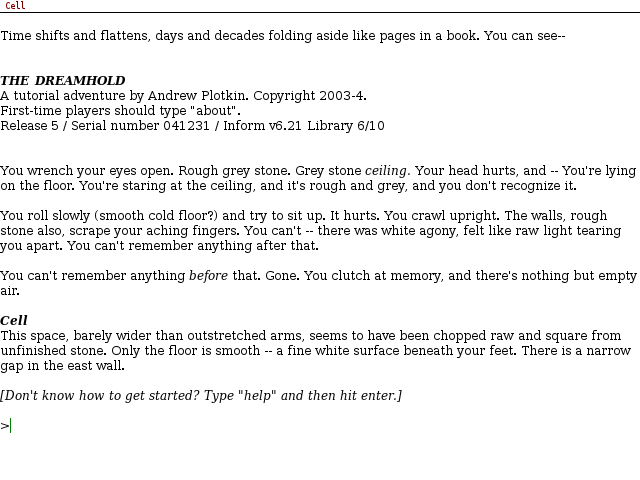 The Z-machine was designed to run text adventure games, also known as interactive fiction. Originally the only Z-machine games were created by Infocom, the company that created the Z-machine. These include such games as Zork, The Hitchhiker’s Guide to the Galaxy, and Planetfall. 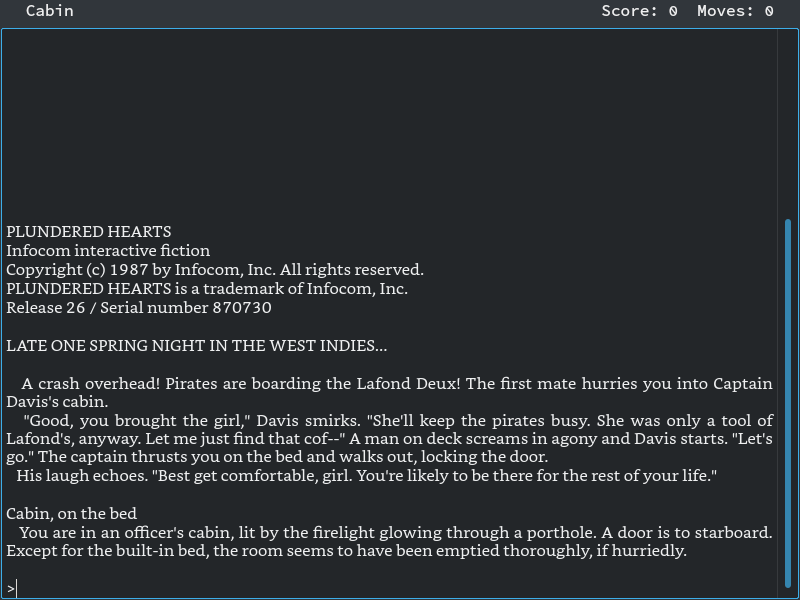 Fans of the genre figured out the format of the Z-machine, allowing non-Infocom interpreters, such as this one, to be built. 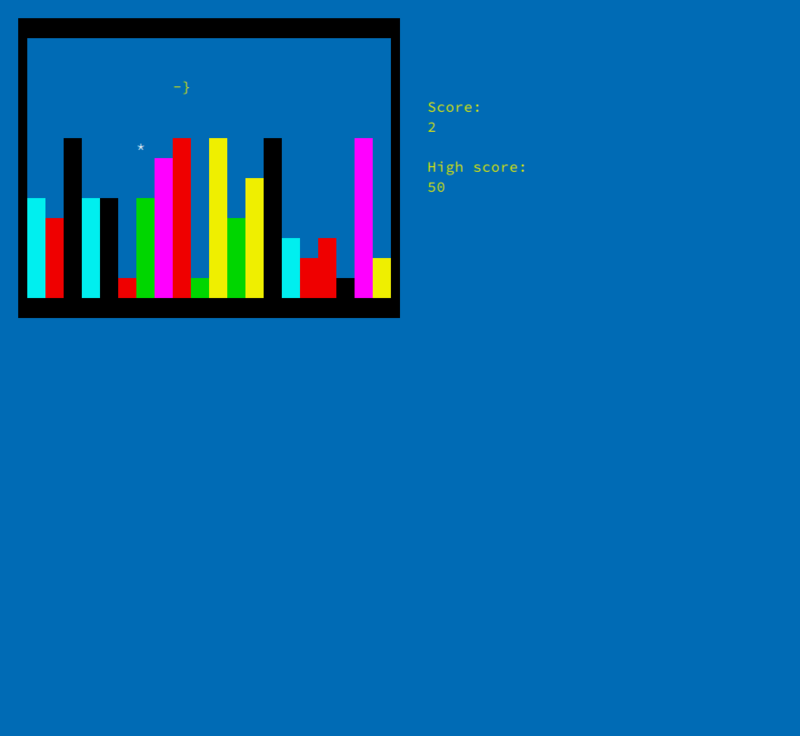 After that, a compiler for the Z-machine, called Inform, was released. 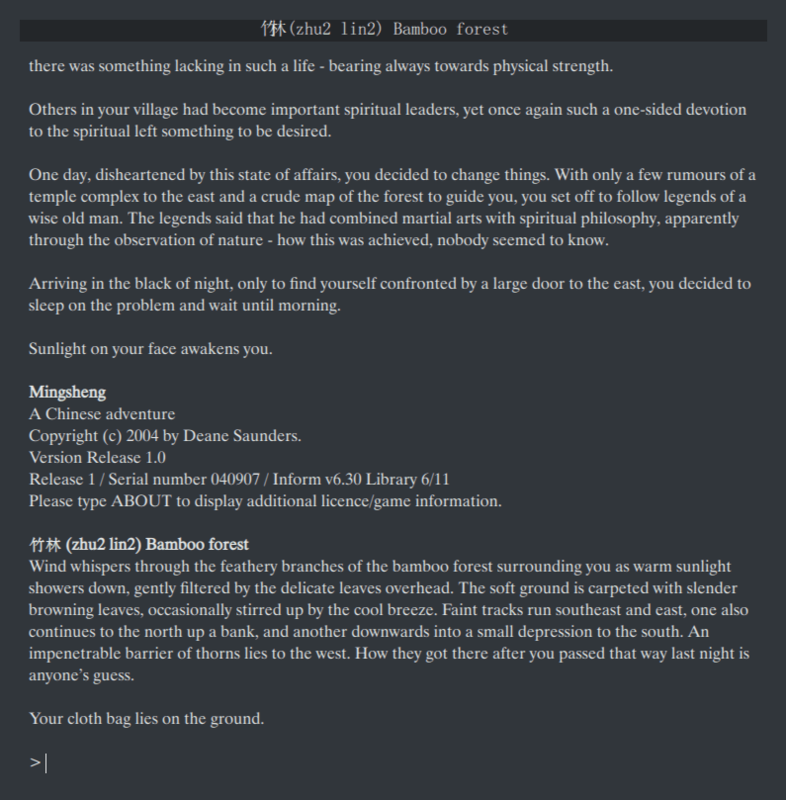 Initially a language meant for programmers, the latest iteration of Inform is intended to allow non-programmers to easily write interactive fiction. Thanks to Inform, hundreds of Z-machine story files have been written by enthusiasts, a number of which are of extremely high quality. 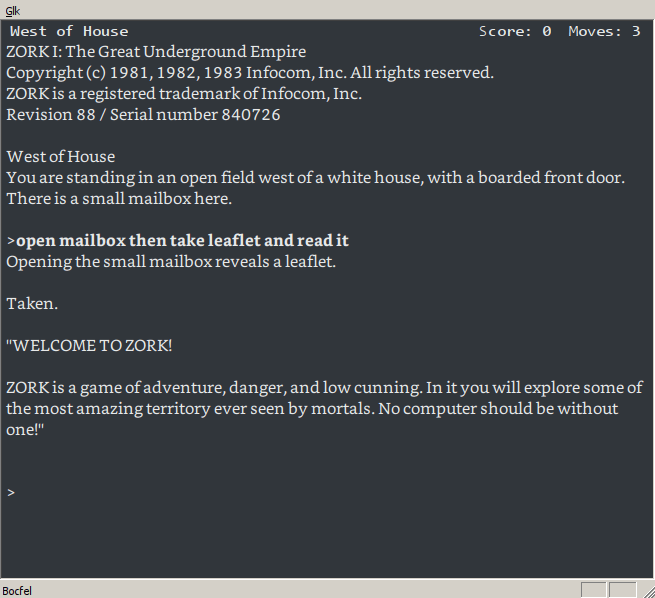 Beyond Zork running under glktermw. The Mad Bomber running under garglk. 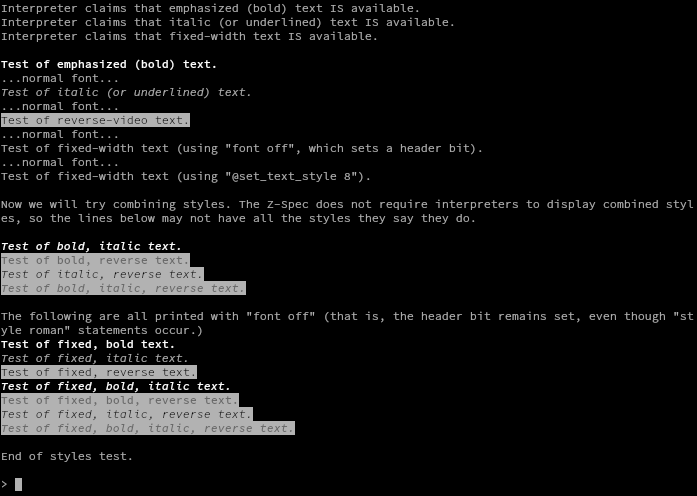 TerpEtude running under the “dumb” interface which, despite its name, understands a bit about Unix terminals. Mingsheng running under garglk, showing off Unicode support. Plundered Hearts running under QGlk. Spider and Web Russian translation running under garglk, also showing off Unicode. 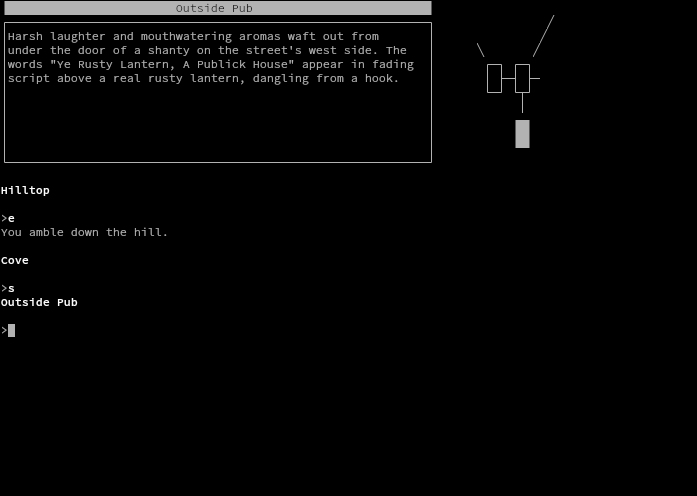 Zork running under Windows Glk. The Dreamhold running under NanoGlk. 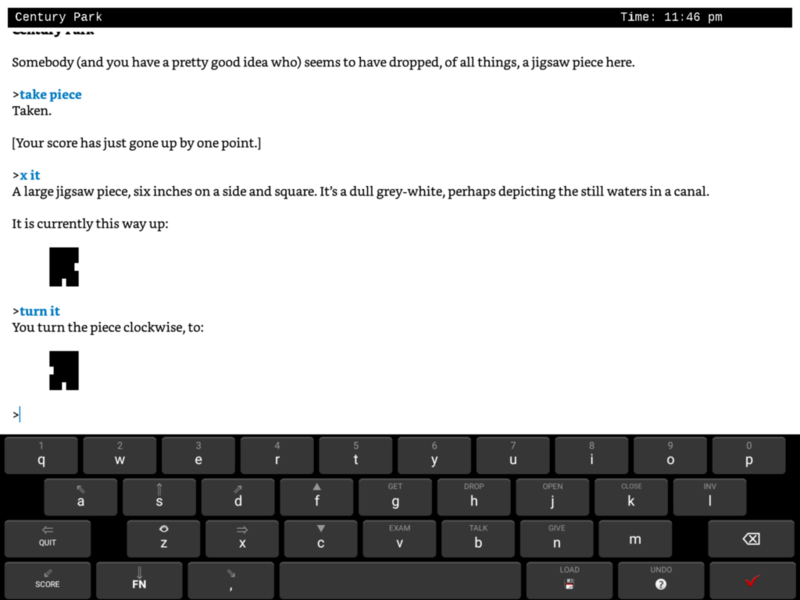 Makes use of Glk for input/ouput, with complete support for Gargoyle; a non-Glk “dumb” interface is also available. Unicode support: see, for example, Chinese characters used by Mingsheng or the Russian translation of Spider and Web. Rudimentary “cheating” support, designed to disable hunger and thirst daemons. Only the source code to Bocfel is provided here. If you are interested in a runnable binary, Ben Cressey has integrated Bocfel into the latest version of Gargoyle as the default Z-machine interpreter.